James proposed to Jenna in February, after six years of dating. 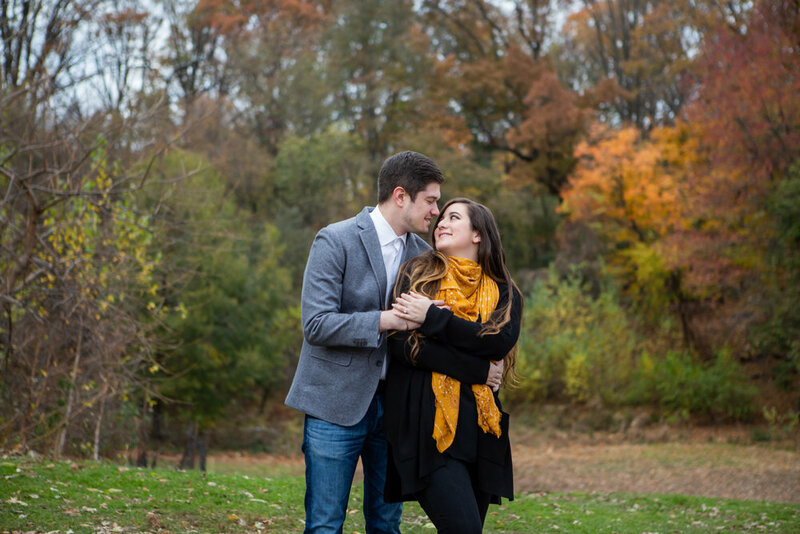 Following a busy fall season in their respective careers, the pair had time to finally think about scheduling an engagement session when Jenna found my work on Instagram. We hit it off over the phone. She mentioned that they are a Taurus and an Aries, love color, and are always laughing together. The couple knew they wanted beautiful, autumnal foliage, as well as their candid and casual style, to be reflected in their photos. 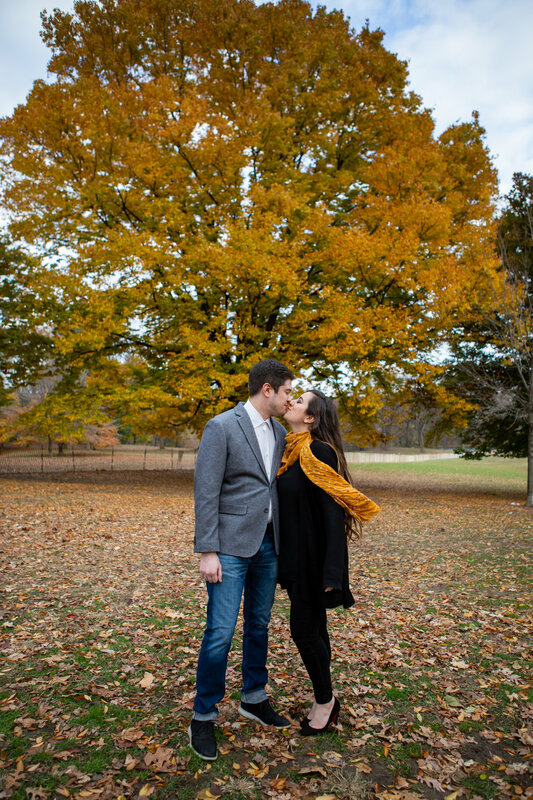 Being mid-November, the leaves were already rapidly falling, but we were lucky to get a session in on one of the very last weekends with lush, colorful trees! Would you believe NYC got hit with six inches of snow two days prior?! Thankfully, it melted away just in time. 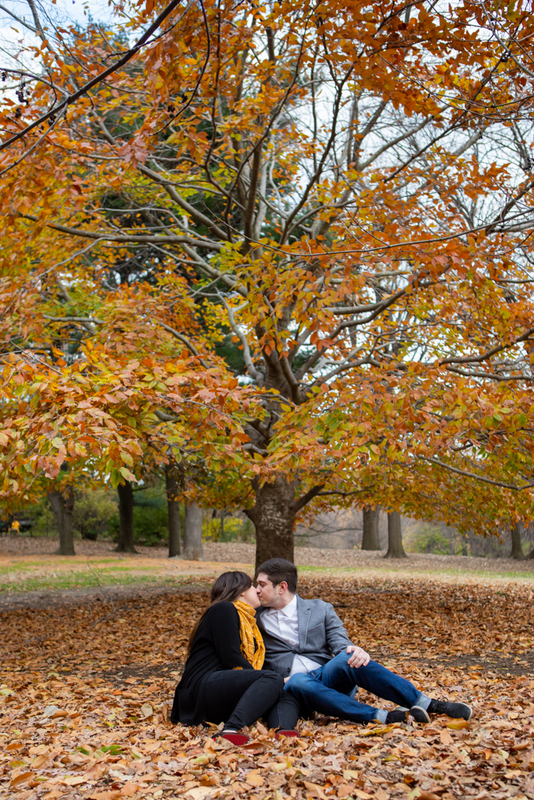 It was so much fun wandering around Prospect Park and playing in the leaves with these two! Congratulations on your engagement and future together, Jenna & James! The best thing about Sara & Kelly is how strong their love for each other is. They are adorably silly and totally compatible, always laughing. And they are unbelievably talented! Music and performance is a big part of their lives, as individuals and as a couple. 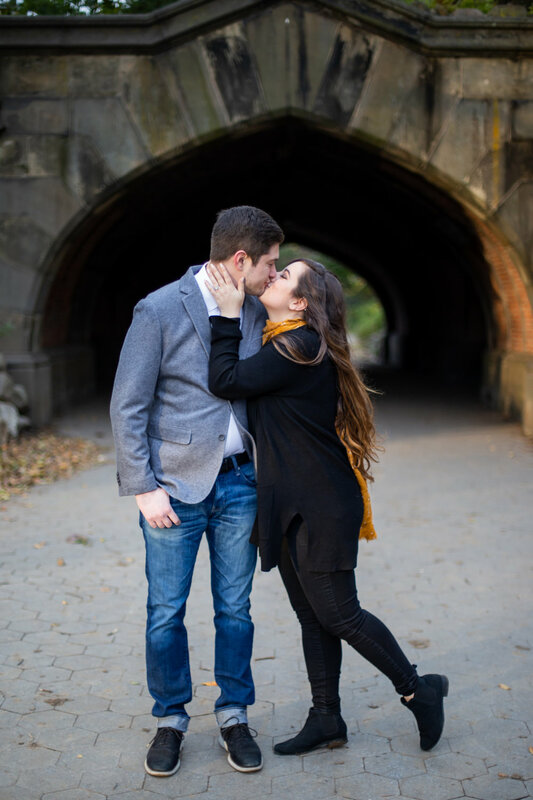 It was so special to capture this connection as part of their engagement session. 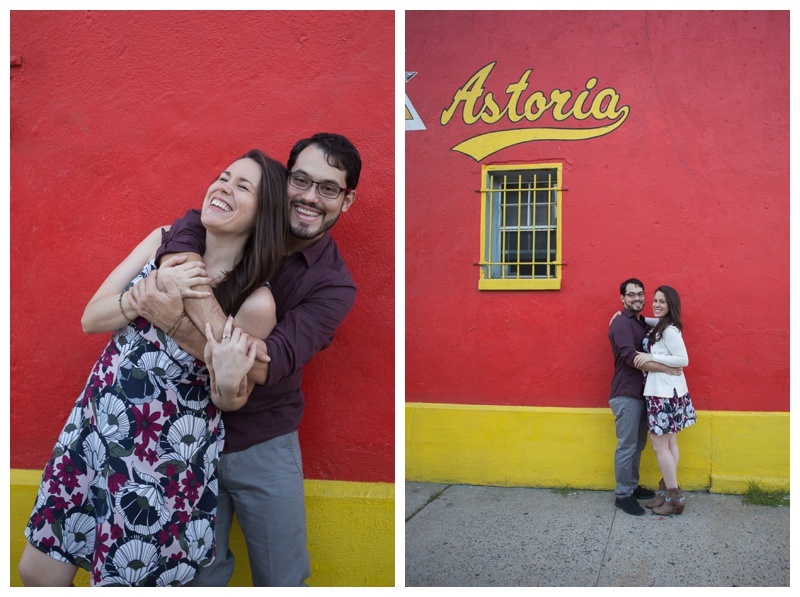 I loved getting to explore their Queens neighborhood and photograph Sara’s custom designed engagement ring and those cool guitar string bracelets Kelly made. A funny thing happened a few years ago. Sara and I were working together at a restaurant in midtown Manhattan when she told me that if she ever got married, she would want me to photograph her wedding. Weddings seemed like far off dream at the time, but I had taken her headshots and some photos of a show she and Kelly were in, and I guess she liked my stuff! We recently reconnected over chocolate martinis, and now it’s all happening! 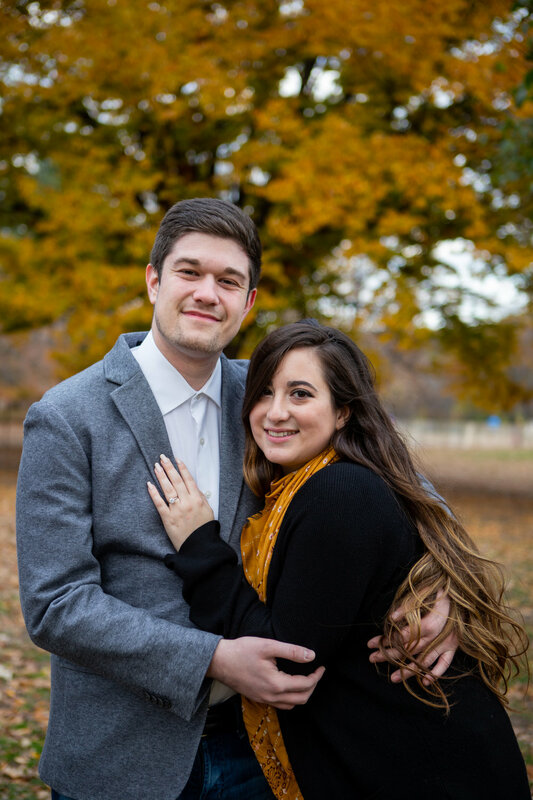 So excited to know these wonderful people and to photograph their wedding next June! One morning, in Texas, Jennifer was scrolling Offbeat Bride when she happened upon a wedding I had photographed being featured that day. 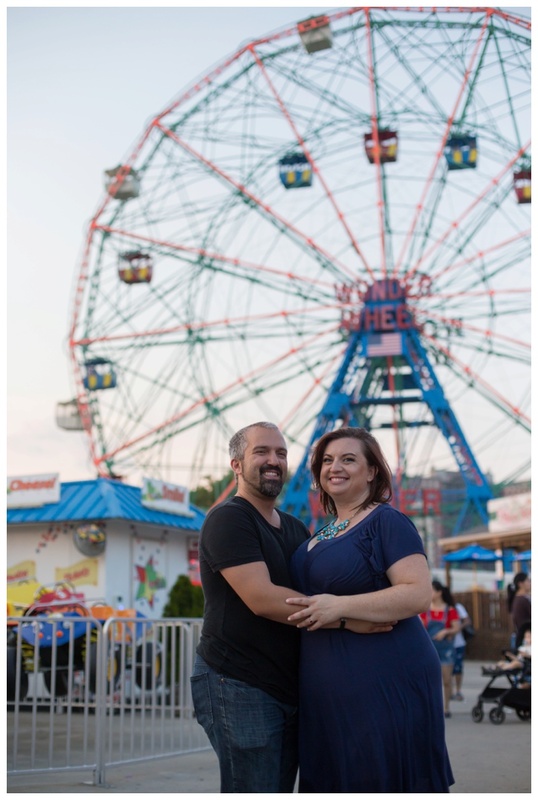 She and her new fiancé, Manny, had a trip to NYC planned and thought an engagement session in the city could be fun. When Jennifer reached out and told me they liked street art and bagels (two of my very favorite things), I knew we'd be friends. Their session ended up being on one of the hottest days of the summer during a week filled with thunderstorms. We got lucky with a lot sunshine! In order to beat the heat, we took a stroll down the pier to feel the breeze and obviously had to stop for ice cream! I loved their relaxed vibe, Jen's colorful engagement ring, and the way they had each other laughing the entire time. 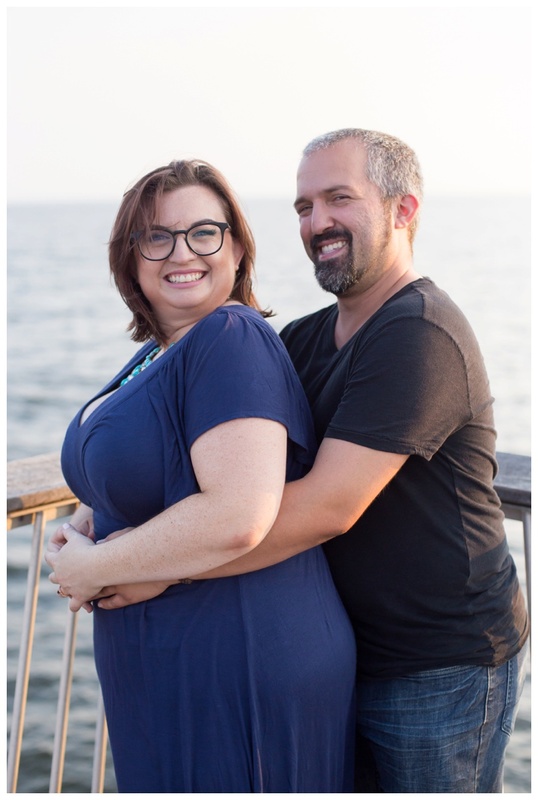 Congrats to this super fun, very happy couple! 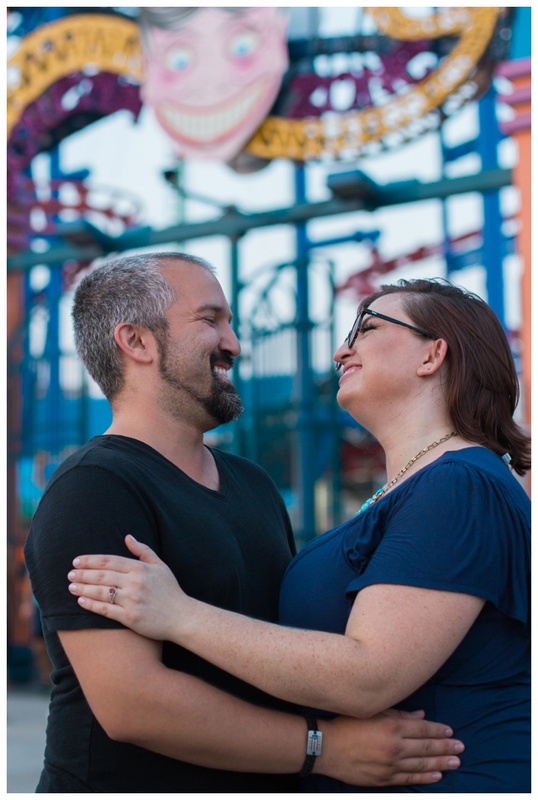 A year ago, Theresa and Chassitty contacted me about booking an engagement session. 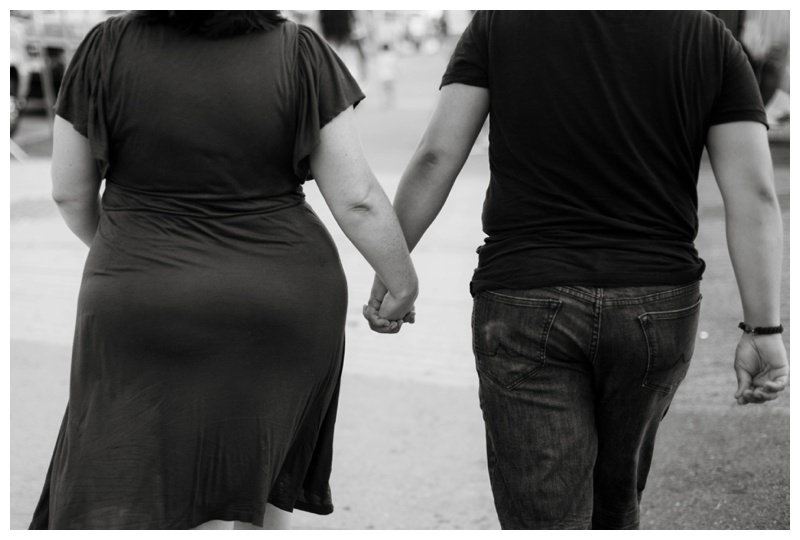 They openly shared their story with me right away. The couple wanted me to know that they were doing things "out of order" and had privately eloped six months earlier, but never had photos taken. "Since we're a queer couple," they said, "we decided to get married before [the most recent] inauguration." Doing things non-traditionally is my favorite and while I was very happy for them and the start of their new life together, my heart also broke a little for all the queer couples who feel as though their love is less than. 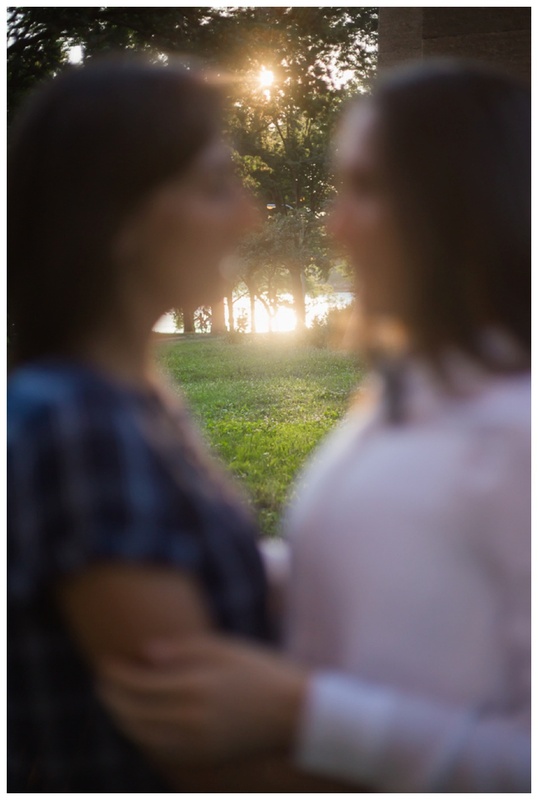 As a queer photographer with an offbeat vibe I was able to make "out of order" work perfectly for these two. 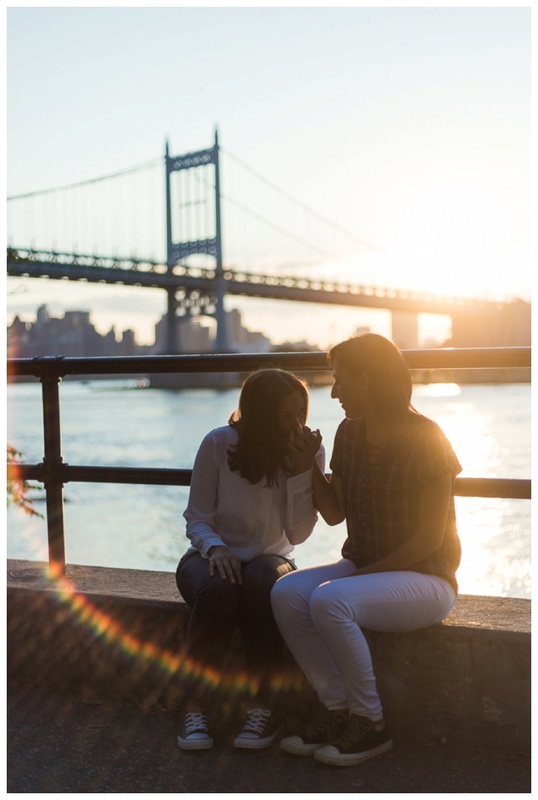 Our session took place in Astoria Park in Queens, New York, where the couple often jogs and watches the sun set together. Theresa and Chassitty met in 2015 at a BBQ hosted by a mutual friend around the time they both started their PhD programs. The party guests were enjoying a bonfire and playing Psychopoly (psychology-themed Monopoly) when it turned in to a drinking game involving fireball. During the game, several friends ventured off to the snack table and eventually these two were the only players left. Theresa realized she was interested in Chassitty, who was oblivious to the flirtation. 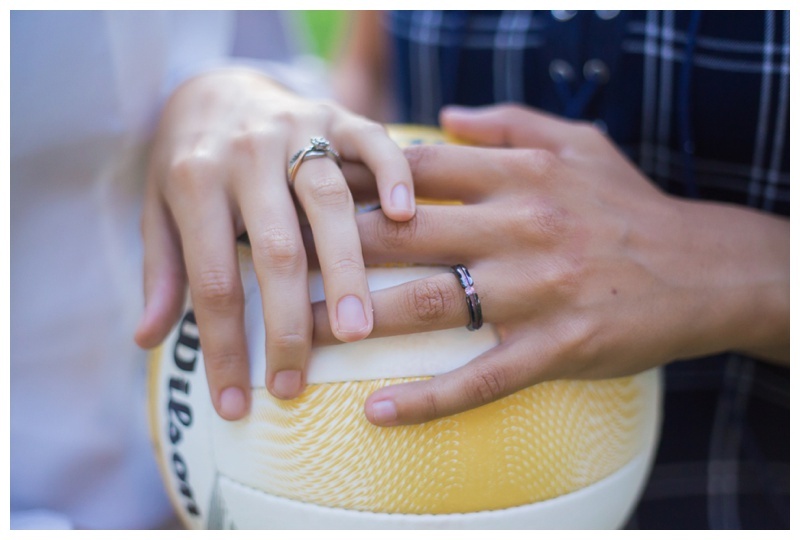 Their friendship grew deeper and they bonded over shared interests in psychology, volleyball, hiking. It took a couple of years of Theresa dropping subtle and not-so-subtle hints before she finally sat Chassitty down directly to share her feelings. Everything immediately clicked. The couple just so happened to be planning a week-long hiking and meditation trip together and the timing couldn't have been more perfect. It was like they were in love from the very start and felt right in a way that no other relationship ever had for either one. Wishing you both the happiest year and a half anniversary!